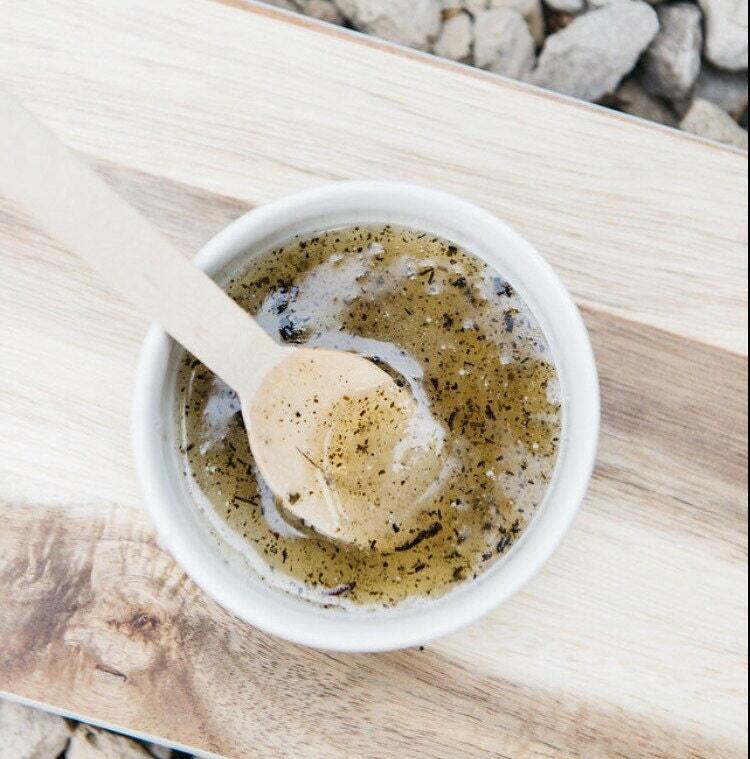 Kick start your day with this exfoliating body scrub fusion! 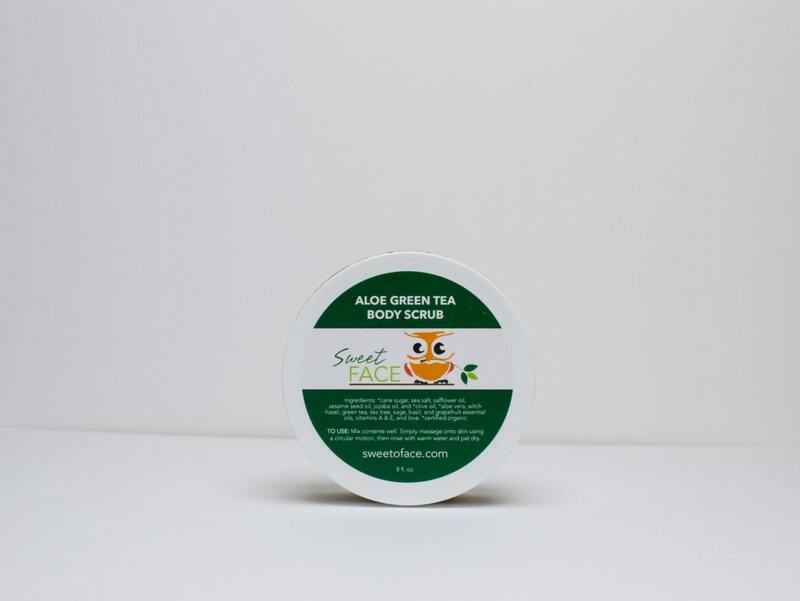 Your skin will love the combination of antioxidant rich green tea and healing aloe vera working together with organic cane sugar and sea salt to remove lifeless skin. The sea salt will leave your skin feeling soothed and relaxed while the cane sugar will leave your skin soft and glowing. Each of the herbs has the ability to neutralize free radicals and offer significant anti-aging and longevity benefits. They also contains antiseptic properties beneficial to speed the healing of cuts and wounds and clear up most skin conditions. Sweet Face products are handcrafted. We use the finest, natural and organic ingredients with emphasis on each ingredient healing properties. All products are cruelty free and made in small batches to ensure purity. To achieve the desired aromas we use therapeutic grade essential oils. Our products are all Paraben Free, Sulfate Fee, Petroleum Free, Phthalate Free, Free of Synthetic Dyes. I'm in love - the scrub has things like sage, basil, and tea tree great for cleansing and nourishing the skin, great for treating skin blemishes.